$35 billion on frigates: BAE wins—has Australia won too? So, the nine new Hunter-class anti-submarine warfare frigates will be built by BAE Systems in Osborne, South Australia, with ASC Shipbuilding acting as BAE’s subsidiary over the decades-long, $35 billion shipbuilding program. The decision raises two big risks for the government to manage—the fact that the BAE ship does not yet exist and the project risk from an overlap between the Royal Navy frigate project and Australia’s. We also have yet to see just how well the government has used its unique leverage from spending $35 billion on frigates to get Australian firms into the production of BAE’s eight ships for the Royal Navy and into the production chain of the 15 Canadian frigates if BAE wins that contract. This is key to ensuring a solid rolling work program for Australian workers and firms—and to reducing the very high premium Australia pays to build warships locally. Of the three ships that were considered—Navantia’s, Fincantieri’s and BAE’s—the Type 26 global combat ship is the most modern design. Taking all the knowledge from the UK’s earlier very capable Type 23 anti-submarine frigate lineage and applying modern design and engineering approaches to further minimise the acoustic signature of every item on the ship should result in the Type 26 being a very quiet, effective anti-submarine warfare frigate. On capability, then, the Type 26 is a good choice. It’s not in the water yet. This brings risk both because it’s a new ship and because the UK and Australian builds will overlap. The overlap comes from the fact that the first UK ship is scheduled for delivery to the UK Ministry of Defence in mid-2025, with trials taking it to 2027 for entry into service with the Royal Navy. The first Australian frigate is planned to be completed around 2027. So there’s not a lot of time for problems in the UK build to be resolved before they’re encountered in the Australian build. Rework and delay from this will drive up costs. Malcolm Turnbull, Marise Payne and Christopher Pyne have said the ships are ‘to be designed by BAE Systems and built by ASC Shipbuilding ’. This may be surprisingly loose language; however, it raises a serious issue for the success of the program. The air warfare destroyer project showed that not having the ship designer–builder very closely involved in leading and managing construction by ASC led to major quality trouble, and cost and schedule blowouts. 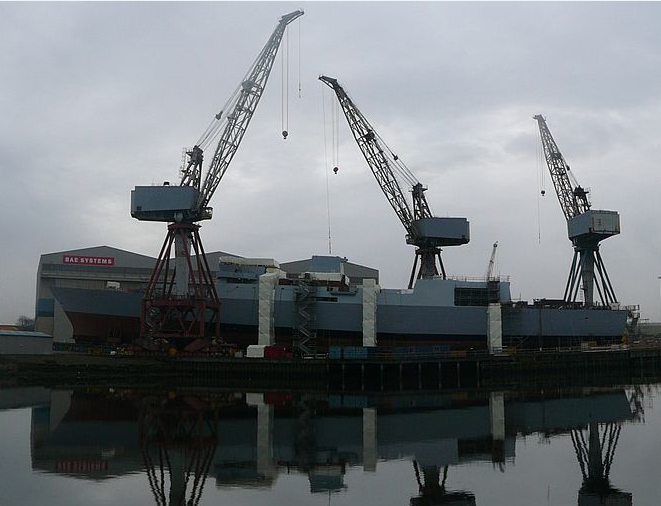 The problems were only corrected once Navantia took control as the lead designer–builder in the Osborne yard. The lesson for the government is that BAE’s designers and shipbuilders need to be heavily involved from the start, pretty much just using and developing ASC’s workforce. BAE needs to run the program, not just hand over the design and related intellectual property and leave construction to ASC. BAE running the program is also the way that BAE will transfer knowledge to ASC and develop ASC’s leadership and workforce for the future. It’d be nice to hear this from the prime minister. That’s going to be tricky for BAE, because its top team will obviously be focused on the first Type 26, being built in Glasgow for the Royal Navy. Let’s see how the government has ensured BAE brings a large, capable team of designers and shipbuilders to Osborne to run the program from the start. Austal shipbuilding’s absence in the government’s and BAE’s information seems to show that this successful Australian shipbuilding company may not play a prominent role in the frigate program. Maybe the experience of the offshore patrol vessel program, where Austal and the lead builder, Lürssen, couldn’t come to terms played a part here. No doubt we’ll hear more from Austal, as missing a big role in this $35-billion prize must make its future in naval shipbuilding here in Australia less certain. On shipbuilding and costs overall, the contract with BAE needs to drive down the 30–40% premium that the RAND Corporation has shown  Australia pays for building warships here. Such a large overhead for local construction is bad for the taxpayer. It’s also bad for the Australian Defence Force, because the defence dollar is buying less capability than it should. That needs to change. A big way to drive down the cost premium is for the government to use its unique global leverage from spending $35 billion on naval shipbuilding to get Australian firms into all BAE’s warship production—the eight UK Type 26 frigates, follow-on UK ships, and the 15 Canadian frigates if BAE wins the Canadian frigate contract. This would spread our industry cost base over a much wider pool of work, and give Australian workers in our shipbuilding industry greater continuity and value of work. There’s been a lot of talk about 4,000 jobs being created (500 Aussie companies have ‘pre-qualified’ for work on the ships, making it an average of eight jobs per company), but far less about driving the cost of these ships down. If the government has used its buying power well and negotiated access for Australian firms to contribute to all BAE’s future warship production internationally, this would be good news in another way for the ADF—it would open up the possibility of getting these frigates faster than the two-year ‘drumbeat’ Defence plans. Australia’s strategic environment is deteriorating faster than the government’s 2016 Defence White Paper predicted, so getting these capable new ships to the navy faster than one every two years after 2027, as seems to be planned, makes a lot of sense. There was probably some ‘geopolitical emotion’ in the decision given the UK Brexit, with some in the government wanting to help the UK in the post-Brexit world, and hoping that the UK will reach out to deepen the Australia–UK relationship. That’s all great, but a test is how much access the UK has given for Australian industry to its own and future projects—not much would show that this is a commercial thing more than a strategic thing. So, it’s a good capability decision, laden with local industry fervour and geopolitical emotion, but with some critical industry and project details yet to be clear. Those details will determine the success of this $35 billion endeavour. Michael Shoebridge is director of the defence and strategy program at ASPI. Image courtesy of bjmullan via Wikimedia Commons.